SUPPLYING rails to Indian Railways is one of the key priorities of SAIL, says Anil Chaudhary, the Maharatna PSU's its newly appointed chairman. He was addressing the workers of Bhilai Steel Plant of Steel Authority of India Ltd (SAIL) in Chhattisgarh, where rails are manufactured. The state-owned steel maker has lost the tag of sole supplier of rails to the national transporter. “We have to meet the current market competition and get business advantage. Fulfilling the rail requirements of Indian Railways is our highest priorities,” he said. work collectively to increase the production at the plant. Besides rails, the plant also specialises in other products such as wire rods, merchant products, heavy structurals, including channels and beams. The entire range of TMT products (bars and rods) produced by the plant is of earthquake-resistant grade. The Railways had earlier invited a global tender for procuring around 4.87 lakh metric tonnes of rails to meet the shortfall of supply from SAIL. Naveen Jindal-led Jindal Steel and Power (JSPL) bagged 20 percent of the tender floated to become the first and only private player to supply rails Indian Railways. The company has already started delivering the rails to the Railways. In August, JSPL flagged off the first consignment of rails for Indian Railways from its Raigarh plant in Chhattisgarh. SAIL is the major supplier of rails to Indian Railways. SAIL supplied 6.20 lakh tonnes of rails to the Indian Railways in 2016-17. SAIL has been its sole supplier so far. The public sector undertaking (PSU) has been supplying tracks to Indian railways for more than five decades.Railways recently said that it had to invite a global tender for procuring more than 4 lakh metric tonne of rails to meet the shortfall of supply from SAIL. Minister of state for railways Rajen Gohain had informed the Rajya Sabha that the requirement of rails for Indian Railways for year 2017-2018 was 14.59 lakh metric tonnes. Earlier, in July this year, Indian Railways had invited the global tender for procuring around 4.87 lakh metric tonnes of rails to meet the shortfall of supply from the PSU. This is the first time in three decades that rail procurement has been opened for the private sector. Seven foreign steel companies and JSPL had submitted their bids for the global tender. JSPL was the only Indian steel maker in the fray, and was expected to get an assured order of 20 per cent under the 'Make in India' clause. “SAIL as per their latest projection has given commitment to supply 9.5 lakh metric tonne rails during 2017-2018. To meet the shortfall of supply from SAIL, Railway has invited a global tender...,” Gohain had said. Recently, SAIL commissioned its 1.2 MTPA new Universal Rail Mill (URM). And with this, the PSU has begun the commercial production of world’s longest single rail of 130 meters from the new URM. 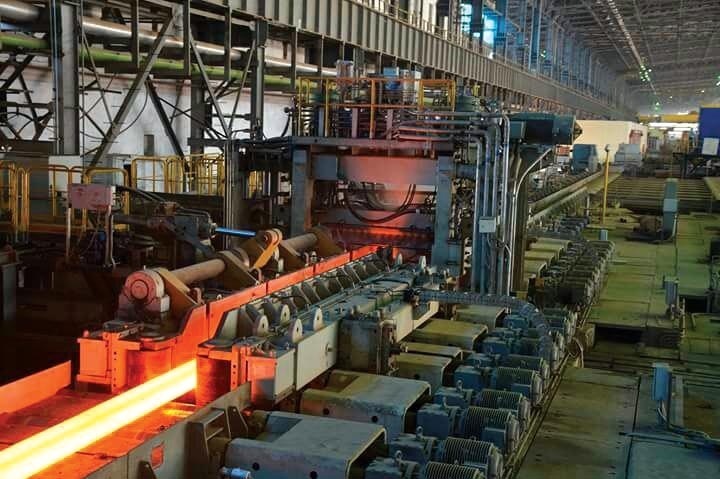 With the ramping up of the new 1.2 million tonne Universal Rail Mill at Bhilai Steel Plant, SAIL has now capacity to meet additional demand of Indian Railways, he added.